Self-supporting casing construction made of galvanized steel plate, finished in structural epoxy-polyester painting, white colour RAL9016 as standard. Other colours are available on request. 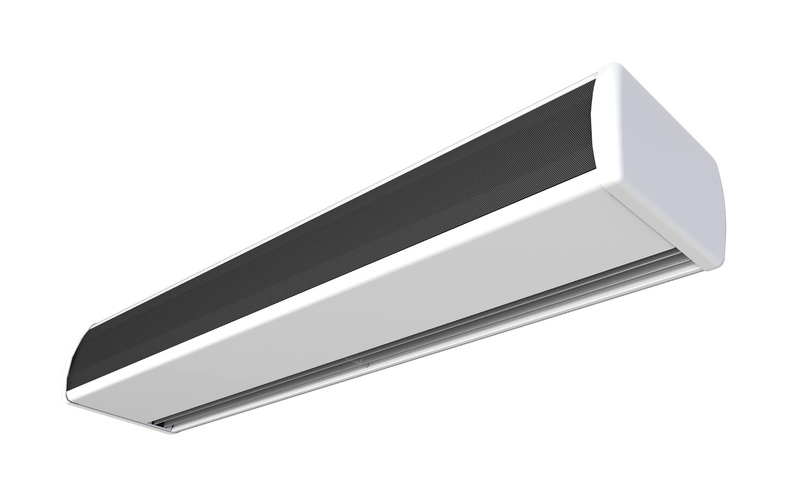 Micro-perforated inlet grille with filter functions and easy service. It does not need prefilter. Anodized aluminium outlet vanes, airfoil shaped. Low noise twisted cross-flow fans driven by a 2-speed external rotor motor. "E" type with electrical shielded elements, two stages with integrated regulation. "A" type without heating, air only, "P" type for water heated coil. Optional: low cost Optima Wireless. Ask one of our sales engineers today for a quote!